I have always been passionate about sustainability, growing up surrounded by nature in Asheville, North Carolina, I was raised by two hippie parents who emphasized environmental responsability my whole life. 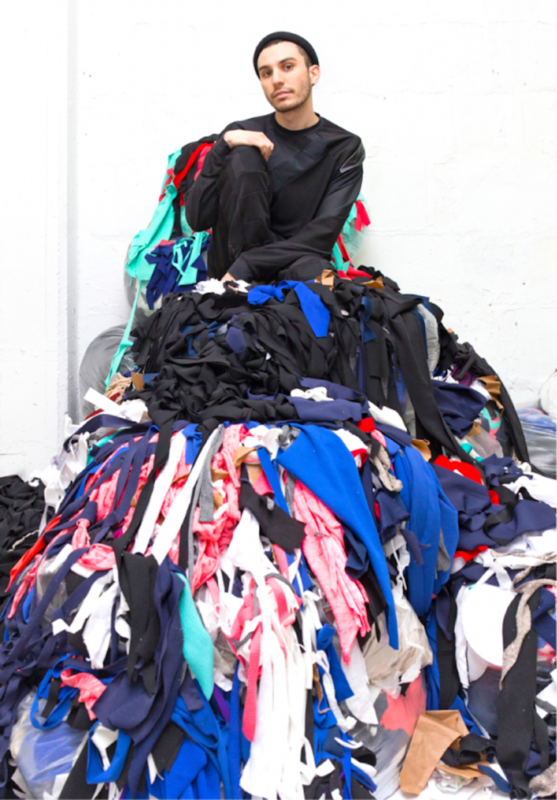 As I began to learn more about the fashion industry I became more and more aware of how much waste it produces, and I wanted to figure out alternatives to creating new things without producing more waste. In the midst of finals, I entered a work room searching for inspiration, and I was reminded of a video we watched in Sustainable Systems about a company/Fashion Designer in Brooklyn who goes by “Zero Waste Daniel”. I looked around and saw piles of scrap muslin littering the floor; I started asking if it belonged to anyone and people replied that it was just garbage nobody had bothered to clean up yet. I collected as much as I could and started trying to puzzle them together in order to create yardage instead of fragments. I found pieces that were several feet and even used pieces which were only a few inches, I found all different shapes. 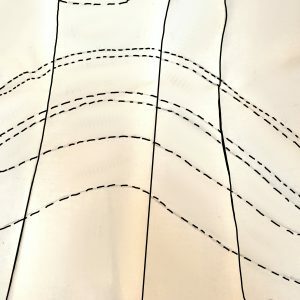 I then borrowed Daniels technique of serging them together, and ended up with a little over 18 Sq Ft of fabric, which I then sewed into 9 tote bags-each unique and special. 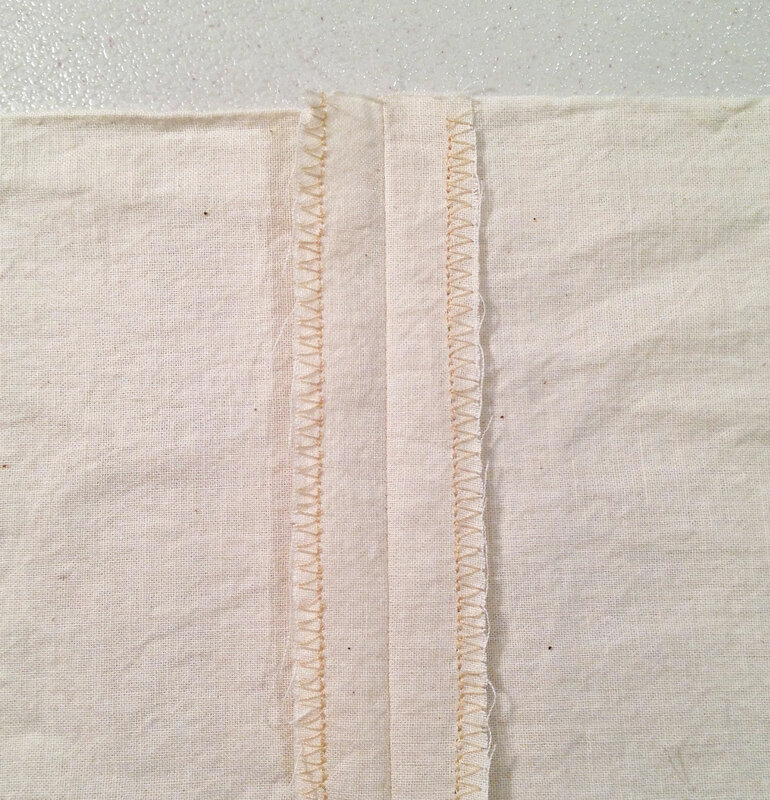 I decided to take it a step farther and used dip dye/shibori methods in order to create my own textile. I chose warm, and cool colors, and then I ended up doing a photo shoot with the warm colored bags. I will continue to experiment, though this was a valuable exercise, it was merely a first step in my process. 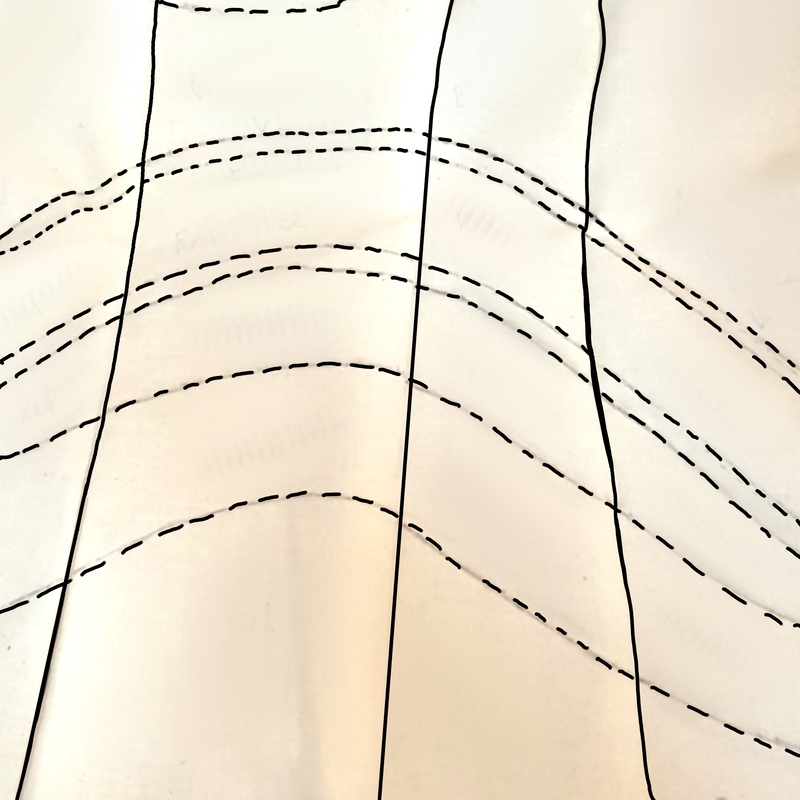 Next I will not use the scraps to create yardage, but I will drape the scraps directly on the dress form in order to create zero waste clothing, which I will then dip dye to create a handmade textile. 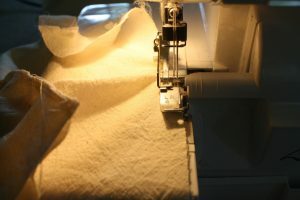 I hope to scale my process, and using natural dye methods and providing a carting service with a fee to collect scraps from major factories which will pay for any dye and thread expenses; this will make the project not only environmentally conscious and sustainable, but also financially sustainable with huge profit margins on an industrial scale by using 100% free materials. 1. 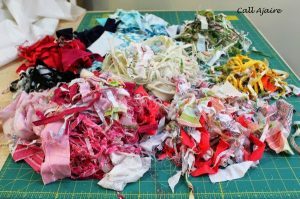 Collect your scraps of various sizes and begin sorting with color scheme and fabric type (knit, cotton, denim, etc.) in mind. 2. 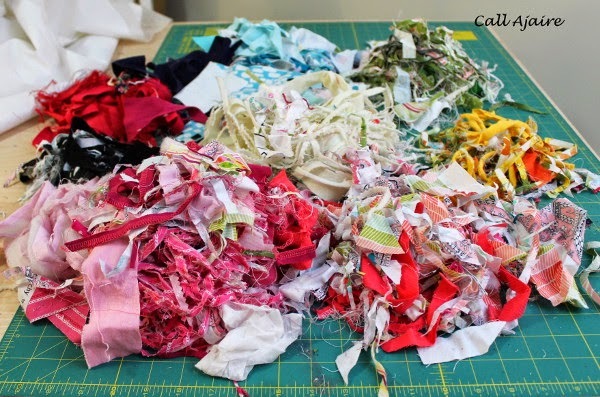 After you have collected your Scraps, begin to fit them together in order to make a long strip of fabric or a large rectangular shape that lies completely flat. 4. 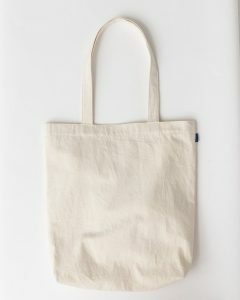 Once you have your fabric you can begin sewing it into bags, each bag I made was roughly 12”x 12” after washing. 5. After you’ve completed your tote bags, you can mix your Dye with water to get desired effect (use natural dyes or make your own to be extra sustainable and environmentally friendly!). You can test out how your pigments will Dye by using a pice of white paper towel to dip test. 6. Be sure to scour your fabric for best and most pigmented dyes, especially if using cotton, wool or other natural fibers. To scour, first wash the fabric in the washing machine using a long setting with very hot water. Use a non-bleach washing powder, and do not use fabric softeners. Then Half fill a 10 litre stainless steel pot with water. Weigh out 35 grams of soda ash and add the soda ash slowly and carefully to the water in the pot. When bubbles have subsided place the wet fabric into the water and gently stir using a long stainless steel spoon. Bring the water to the boil. Adjust the heat to low boil/hard simmer and allow the fibre to boil half covered for two hours. 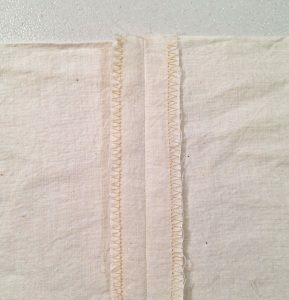 Stir the fabric every 15 minutes to make sure it is being adequately scoured. After two hours remove the saucepan from the heat source and allow the fabric to cool down until it can be safely removed from the water. You will probably be surprised at how dirty the water looks. Finally rinse the fabric. If the scouring water was brown or grey (i.e. more than mildly dirty), repeat the process with new water and soda ash. 7. 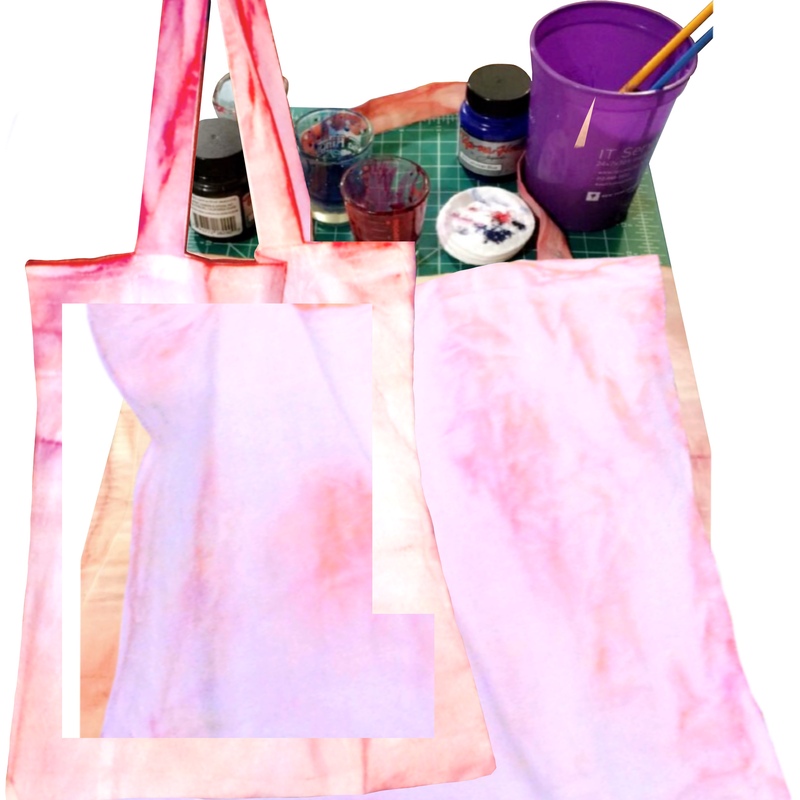 Dip Dye, Shibori, and Hand Painting are a few methods I utilized to create my textiles. 8. When you’re satisfied with your textile designs, air-dry bags, and them put them in Dreyer for 1 hr on high. This fixes the Dye so it won’t bleed in the wash.
9. Finally, I did a photo shoot with the warm colored bags I did (MUA/Photog./Editing by Anna Grace Waller, Model: Kendra Ing). 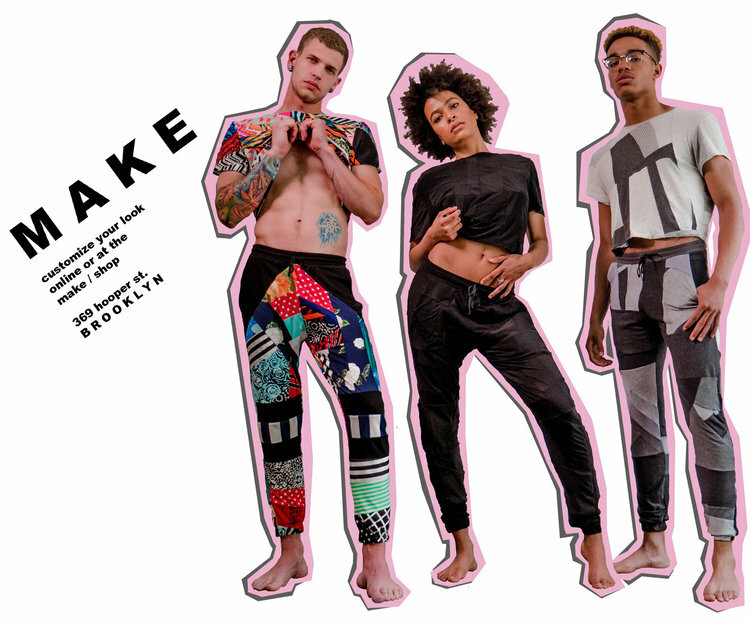 I based my concept on a potential social media campaign targeting sustainably conscious millennials who are still interested in being fashion forward.